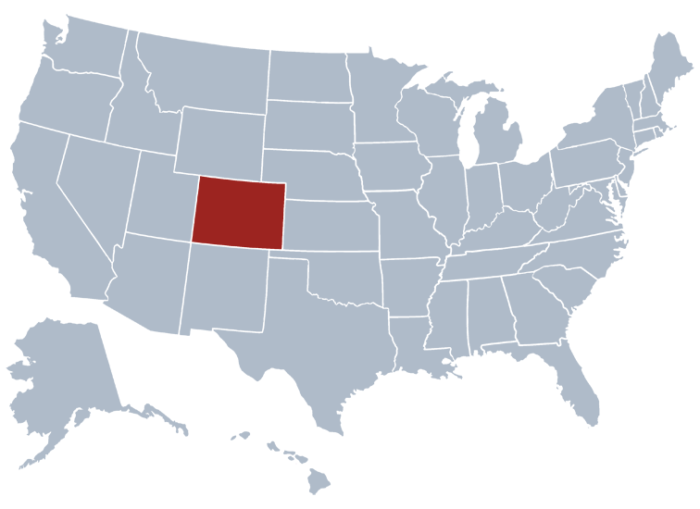 Business entities registered in the state of Colorado have their information stored in the registry of the Colorado Business Corporation under the Colorado Secretary of State. Four of the entity types registered in such registry are Limited Partnerships, Limited Liability Partnerships, Limited Liability Companies and Corporations. You can go the state government’s office to check if a particular company or entity is available or registered in the state of Colorado. Nevertheless, it is more convenient if you check it in the online database of the Colorado SOS. Just prepare details such as ID Number or Document Number and Business name, Trade Name or Trade mark before you make a CO SOS entity search. 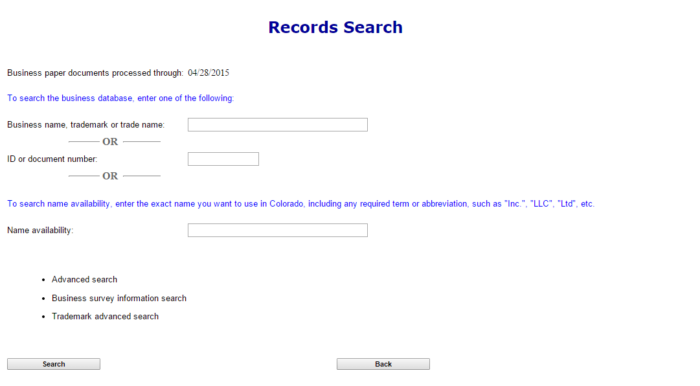 The online database of the Colorado SOS may be confusing for the first-time users. For this reason, we have provided certain instructions on how to make a Colorado Secretary of State entity search. The following steps can help you have a smoother check on the availability of businesses and their respective information. The Colorado SOS official website can be accessed using this link. Navigate to the Search and file section of Business Services where you can find the Search Business Database button. Once you click it, you will be able to view the Colorado Sec of State business search page as shown below: This is the link for the search page if you wish to go there instantly. Refer to the image below to see what this page looks like: It’s not actually mandatory to fill all the provided fields, therefore you can simply enter the business name. Refer to the following screenshot where we enter Key Lime Air as the Business name. Take note that if you have all the information needed by the empty fields, you can get a more desirable result for your Colorado Secretary of State Business lookup. The next step is hitting the “Search” button to show the result page. In the screenshot below, we see the results for Key Lime Air. You will learn more about the business entities on the results page by clicking on their respective ID numbers. Businesses who file for their registration in the State of Colorado get a unique ID number or Document number. Based on the screenshot below, we can see the ID number 19961154395 as an example and the search result after entering it. Clicking on the ID number will also allow you to view the Status, Entity number, Formation Date, Registered Agent and other information of the business. Clicking on the Advance Search button is a smart way to get a more specific search result. Upon using this type of search tool, make sure you will be able to fill all the details required. Once all is set, just click “Search”. Scott Gessler was the Secretary of State of Colorado until January 2015. Wayne W. Williams currently holds this elected constitutional office of the State Government. There is a total of six division of the Colorado SOS office – Licensing Division, Information Technology Division, Elections Division, Administration Division and Colorado Division of Corporations. The Colorado Secretary of State heads the Colorado Department of State under the State Government of Colorado.